What’s one thing you don’t like to do? For me, I’m not excited to shop because it takes me so much time looking and checking the criteria on my list. But I like window shopping at IKEA where I bought my so called minimalist bed. I wished there’s IKEA in the Philippines where my family can shop for stuff for the house we bought after years of renting. Sidenote: I’m here in Canada and would love to shop with my siblings if I only I could. The next best thing I did was to scour the Internet to look for furniture in the Philippines. 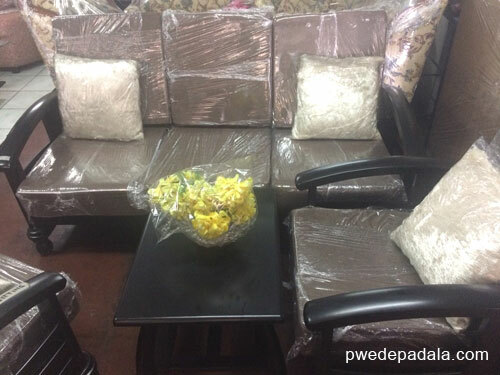 That’s when I found Furniture Manila among the many online home shopping sites. There’s no way that I’ll let my family choose the furniture, wall paint etc. Well, they could but I have the final word not because I’m a control freak. It’s just that they can’t see the bigger picture. An item is beautiful per se. But does it match with other stuff in the house? I still can’t get over the kitchen tiles my brother chose. I have to replace it in the future. As much as possible I don’t want bulky furniture to save space but I didn’t want to compromise the quality and design. I’m going for a minimalist theme that I keep on preaching ever since we had the newly renovated house. Note: We settled on buying the TV rack and single bed (frame only) first to test the credibility and quality of the service and product of Furniture Manila. I can’t find any review about Furniture Manila but we bought online anyway. If it turns out a scam then goodbye to Php 10,000 and I’ll end up writing a blog post of my unpleasant experience. But none of our fears happened. You can save a lot if you can buy items that are on sale or wait for the price to go down just like in buying stocks. Shipping fee varies from as low as Php 700 (Manila) to Php 15,000 (Quezon). We pay only Php 700 for the delivery of two items and you might want to do the same. Update: My siblings bought the sofa set worth Php 20,000 in a local furniture store just like our old set but way modern and durable. I was thinking of buying online on Classic Modern but my sister said she needed to see the sofa set in person which made sense. The console table and sofa set have matching style so there’s no need to worry. It’s simple and affordable. Swak sa budget. For OFWs in Canada like me, I suggest you to choose the fastest way to remit money in the Philippines. For smaller amount, my go-to app is PayPal. I am looking forward to a day that I could buy using my foreign credit card and have the items ship to a Philippine address. Let me know if you were able to do this trick. These steps will do for now. Choose the item that you want. The prices vary according to size. Choose how you want the item to be delivered. Cash – Make payments to the Furniture Manilas’s bank account or at their office. Check your email for the order confirmation. Regularly check your email for any updates about your order. Some items might take longer time to be delivered or have been out of stock. In my sibling’s experience, the best way to keep in touch is through email. The order arrived within 14 days after ordering online. You can track the status of the order online for an update. The schedule of delivery range from 1 to 30 days. It depends on the mode of payment and the destination of the items. The items we bought are preorder which takes 10 to 20 business days to be delivered. So it’s neither too early nor way behind the schedule. If for some reason tracking the status online isn’t enough or it’s taking forever for your order to arrive, contact Furniture Manila through email or Facebook. Their customer service has been helpful and in constant communication, from the beginning when the item was out of stock, up to the successful delivery to our place. Furnishing a house shouldn’t drain your savings. I’m happy that I was able to help my family chose the affordable furniture. I was blown away how expensive things are no matter how simple it may seem. My family laughed at me with the way how I complained about the prices. They told me that furniture and accessories in malls like SM and Robinsons Place are more expensive. We shouldn’t worry when there are choices; it’s possible to find good deals especially online. Keep on checking and clear your cookies on the browser just as you would when booking a flight or simply shopping online. Where did you buy a furniture: mall or online or somewhere else? Did you get a good deal?